The focus of our firm is to provide legal services for those that normally believe they cannot afford it. We provide high quality service; with customer service being our main focus. We provide legal services to help keep clients out of bankruptcy. If a bankruptcy is required, we can assist with a Chapter 13, 7, or 11. We have pricing that includes a payment plan. Our firm is dedicated to providing stellar service with the highest quality of legal services. In addition, we feel that education is a huge part of our focus and what an attorney should provide to the community. By combining education and our community service endeavors, we feel we have positioned ourselves as a leader in the community. While we can take care of a number of legal issues, our focus is always on our clients and managing their needs. In a world where most people despise attorneys, we have centered this firm around the client and eliminating the arrogance and impersonal nature of most attorneys. We are here for you and you will see this in our attitude. While most clients have a wide variety of attorneys they could hire, our focus is to prove while you will never regret giving us a call. We focus on the client. We return phone calls the same day. We focus on the client and always go above and beyond. We like our client's to be educated on their legal issues, but always contact our firm to direct you to the correct place and direction in your case. We have a wide variety of attorneys with a diverse background. Our attorney speak a number of different languages and work in a number of different areas of the law. It is our focus to provide a personalized experience with our firm for any possible client. J. Owen Myers is a Central Florida attorney and co-founder of Myers, Eichelberger Russo (the ME Law Firm), a full-service firm. Mr. Myers was nominated for Orlando Business Journal's "C-Level Awards" as one of the top 25 CEO's in Orlando (Small Business category). This prestigious award is awarded based on the candidate's reputation and the support of his peers. Mr. Myers is committed to helping the community understand their rights and how to defend themselves against a creditor. While bankruptcy is a tool that can be used, and many other firms do, Mr. Myers and the ME Law Firm believes in to be in their clients best interest to first work towards working with creditors without bankruptcy. Most people will sell you a bankruptcy because that is what they sell. Bankruptcy should only be used if a judgment has been ordered. J. Owen Myers has been featured on WFTV Orlando (Channel 9), most recently in an expose focusing on HOA (home owner associations). Additionally, Mr. Myers has done numerous interviews for newspapers and on the radio. He believes the "people" need someone on their side and he has dedicated his life to helping people turn their luck around and stand up for themselves in middle-class America's perpetual battle with the banks. J. Owen Myers is always available for free consultations and legal advice if needed. Prior to founding the ME Law Firm, Mr. Myers worked as an attorney for the Law Offices of J. Owen Myers, P.A. and Law Offices of Stage and Myers, P.A. His practice concentrates on mortgage foreclosure defense, credit card defense, and most debt related issues. He has represented both individuals and small businesses. Mr. Myers hails from Kentucky, but has spent considerable time in Central Florida and now calls Orlando home. Mr. Myers brings his Kentucky roots of "honest, common sense" to problems here in Central Florida. While most people have a certain idea of what an attorney is, Mr. Myers brings a breath of fresh air to the legal profession. Mr. Myers is a leader in the Central Florida Community. 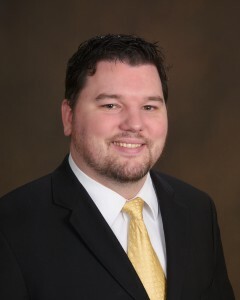 He currently serves as President Osceola / Kissimmee Chamber leads group in the Four Corners area and proudly serves as a member of the Celebration Rotary Club. Mr. Myers is also a host of the weekly live show on WFLA 540 AM (Orlando) entitled "Let ME Help You". The show is dedicated to educating Floridians (and beyond) on the current legal issues facing the community. The show focuses on assisting, educating and answering questions from listeners to ensure they understand the risk, laws, and any other potential issues they may face. Mr. Myers also educates and trains the public in small business seminars and assists entrepreneurs in the process of starting their own small business. In addition, Mr. Myers trains other attorneys in Foreclosure Defense and has developed new innovating strategies for defending foreclosure cases. While many attorneys focus on interest rates, Mr. Myers focuses on the reduction of the home owner's principle and helping home owners secure a better long-term solution. The Sunshine Foundation: The Sunshine Foundation focuses on having sick and ill children live our their wish. This wish is normally to come to the Orlando area theme parks. Mr. Myers believes, as does the Foundation, that by showing the kids some days are better that hope can grow in them. You can visit them on the Web at www.sunshinefoundation.org. Darryl Armstrong Foundation: The Darryl Armstrong Foundation (DAF) is focused on helping premature babies. These children are without necessary medical treatment, therapy, and much need laughter. The DAF has built two local hospitals to help these children and is currently working on the third. Find more information online at www.dafpb.com. Mr. Myers is admitted to practice in Florida and the United States District Courts for the Middle District of Florida. Mr. Myers was very influenced by his grandfather who played an important role in his life. His strong, committed and folksy good humor has shaped the firm of Myers, Eichelberger & Russo in a firm of the people that focuses on old-fashioned values. While never losing sight of his traditional roots, Mr. Myers runs the firm with the most innovative technology and management techniques. The firm is committed to changing the way people and the community perceive attorneys and building a bridge between attorneys and the community.